Denver – As Congress approaches another deadline on the federal budget, a new Environment Colorado Research & Policy Center analysis, entitled Death by a Thousand Cuts, exposes the challenges facing Rocky Mountain National Park as a result of mounting funding cuts to the National Park Service. 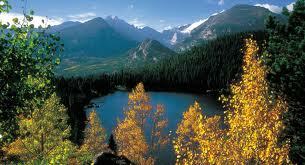 Rocky Mountain National Park provides critical habitat for wildlife like elk, pika and bighorn sheep. Visitors to the park have been enjoying some of the most beautiful hiking and camping in the country since the park opened in 1915. Parks closures during last fall’s government shutdown capped off the third straight year in which Congress cut funding to the National Park Service operating budget. Additional cuts from the March 2013 sequester make for a 13 percent reduction in funding for our parks in today’s dollars over this period. The Moraine Park Visitor Center was closed for the entire summer. The Beaver Meadows Visitor Center hours were reduced, closing at 6 pm instead of 9 pm. Summer interpretive programs were reduced by 35% from the year prior. Glacier Basin Campground was forced to close through the entire 2013 season. While the budget deal passed in December may allow for some increase in the parks budget, it is up to Congressional spending committees to decide the actual funding levels this month. Next Story: Aurora borealis in Colorado? Site contents copyright © 2019 Recorder Online	except as noted. All rights reserved. | 91 queries in 2.210 seconds.